My cat craze started as a toddler. I grew up with cats and dogs, and revere all animals, yet I have always had an affinity for felines. 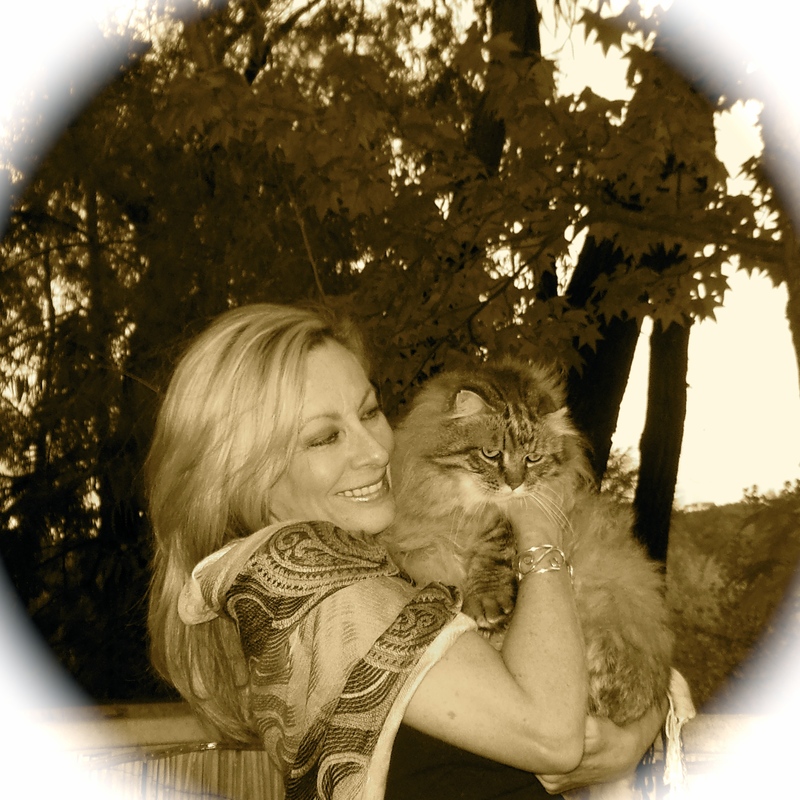 I became known as the “cat lady” in my Laguna Beach neighborhood upon moving-in with two cats, Punkie and Lexington, and later joined by Topper. When Punkie lived-out her almost 20 years, Bella joined our clan, and a few years later passed, but then Bobcat came into my life. Besides my current feline family, I’ve had cat companions throughout my life that have helped me earn the title, and yes, “crazy” has been attached to it by some. I’ve raised cats from kittenhood through adulthood and into their “golden years,” and have experienced the passing of four of my beloved cats. I’ve either adopted rescue cats or have directly rescued all of the members of my feline family, from Frankie, who was abandoned in an alley at 6 weeks old to Lexington, who was one day away from being euthanized and who I adopted from New Beginnings for Animals. You will get to know them all as their stories unfold. I’m a volunteer at The Blue Bell Foundation for Cats, a nonprofit organization that operates a cat sanctuary in Laguna Beach, which provides permanent housing in a vintage cottage for senior cats whose companions can no longer care for them, usually because of passing, illness or other life altering event. For those in need of such service or who would like to make a tax-deductible charitable donation, please visit www.bluebellcats.org. Hi Pamela. Thank you for visiting and following HoB. Much appreciated! 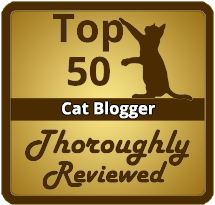 My pleasure–you have one darling kitty cat! Hello! I’m the girl in the “I wish I was a cat.” tank top at Sawdust today! Thank you for connecting me with your blog. I’m looking forward to catching up! Hi Emmy! I had fun meeting you at Sawdust and talking about our cats! I hope to find that same t-shirt! Thank you very much for checking-out my blog. I do hope you find it entertaining and educational! Cheers! Do you take in cats? I have a cat, my roommate moved out and left his cat. I can’t afford the apartment on my own and have to move to Riverside and my parents are allergic. Can you you help me? She is very sweet. I move this Friday!!! Hi Tami, I cannot expand my feline family at this moment–3 is quite enough! 🙂 The cat sanctuary for which I volunteer only takes cats from people who’ve passed away or have become ill an can no longer care for their cat. You might try placing the cat with NatCat in Newport Beach, http://www.natcat.org, which is a shelter/adoption agency or New Beginnings for Animals, http://greatpets.org, another rescue/adoption agency for cats and dogs. It’s a shame that the poor kitty was left behind. You may also want to try advertising on social media. Good luck to you and the kitty! I volunteered here 20+ years ago, when I lived in Laguna Beach, I now live out of state and volunteer with a group that manages feral colonies through TNR. We rescued a colony and had a cattery built for them, they’re in my estate planning if anything ever happens to me or my husband. this is the most rewarding work I’ve ever done. There’s nothing like seeing a terrified thrown away cat that’s become feral to learn to trust you and even love you…. Gloria, I can only imagine! You are doing wonderful work! Ranked No. 81 in Top Cat Blogs on Feedspot.com!